DraperDarkFlow has chosen 93 startups from 16 countries to take part in its US$1 million SpeedUPAfrica bootcamp next month, with Nigerian and Ghanaian startups making up over half the cohort. 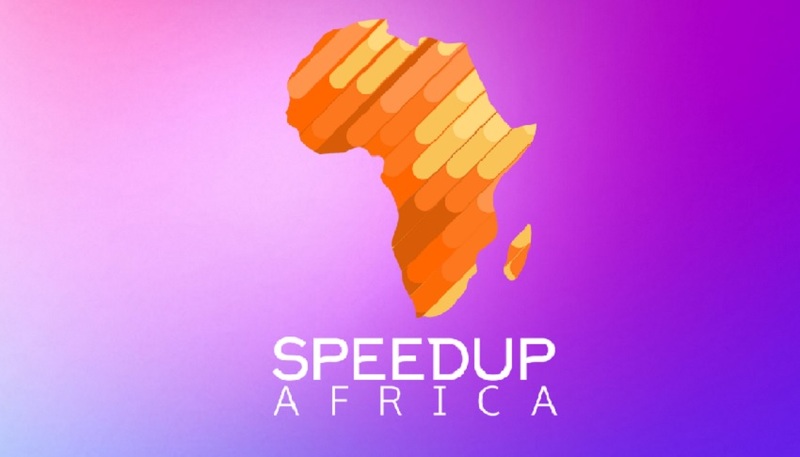 Disrupt Africa reported last month Silicon Valley VC firm DraperDarkFlow had partnered accelerator 500 Startups to host SpeedUPAfrica, a four-day bootcamp with hands-on workshops, live experiments, A/B testing, growth hacking, and one-on-one mentor sessions. Major global investors Tim Draper and Mark Iwanowski are to be in attendance at the bootcamp, which takes place at Ashesi University in Ghana and will see selected startups walk away with a share of US$1 million in funding. A total of 93 startups from 16 countrie have been chosen to take part, with an average user base of 60,000 and total raised funding of US$7.2 million. Nigerian startups lead the way, with 36 selected, including hotel-booking portal, Hotels.ng, schools platform VeriCampus, online printing startup Printivo, music download site MyMusic.com.ng, mobile gaming startup Maliyo Games, on-demand artisans startup Wesabi, fashion company YVKDESIGN, advertising startup Dochase Ad exchange, food marketplace Foodstantly, social learning platform Geniuses, and content production company Rushing Tap. Online experts directory Nigeria Experts, cloud-based PoS software Bazar NG, restaurant discovery platform ChowHub, delivery app Jalo, video advertising network Rubiqube Ad Network, e-commerce store for building materials frakem.com and agritech startup Farmers.ng are also on the list. Also selected from Nigeria are HRM solution Talentbase, event networking app Eventlinq, Wi-Fi company NURLUX, augmented reality app CamBuy, local goods marketplace cokodeal.com, travel app Go, chatbot SpellAfrica, and crowd-sourced errand running service DropBuddies will also attend. The list of Nigerian attendees is completed by admin assistance startup Virtual Administrative Ads, conversion tool Jara, jobs platform First Jobs, talent matching platform Codulab, data collection tool Mobile Forms, digital media marketplace NerveFlo, health information tool HealthFacts, business tools provider NeonERP, social swapping app Canzaa Barter App, and African art platform youloho.com. There are 18 selected startups from Ghana, including social enterprise Stars From All Nations, e-health startup MedRX, swapping platform Swapaholics, agritech startup Farmable, homecare services startups CaringHand, photo sharing marketplace Chichi Trend, low tech waste company Coliba, loyalty programmes app Loystar and analytics tool Cocktail Insights. E-learning app eCampus, matching service Swiftly, online fashion marketplace OncenOut, web-to-print platform Brandit, e-learning startup Chalkboard Education, student app Flippy Campus, SMS-based commodity and transport exchange Trade, e-commerce management app SynCommerce and m-health startup Moja are the other Ghanaian startups that will attend. Ten South African startups make the cut, namely workflow platform Spacedecode, AI telehealth platform ConnectMed, communications app Tuse, low-cost protein feed Entoprotein, commuters platform CommutaX, management software for healthcare practitioners SmartPrac, fintech startup Africa Trust Academy, online tutors marketplace Tutorfy, SME platform The Brand Revolution and communication-centric organiser Sortd. There are six from Cameroon – passenger monitoring app Traveler, tasks marketplace 1task1job, fintech startup AMoney, in-transit entertainment system VIVA, aqua-tech startup Aquaponics, tour guide web platform LCM Tours – and four from Kenya – LED TV firm Angaza Boma, analytics startup OB Analytics, toys marketplace Toimart, savings and investments platform Chamasoft. Ivory Coast (sports data startup Planete Sports), Senegal (haircare company Nappy N’ko), Tanzania (animation startup Rogech), Malawi (property finder Pakwathu), Egypt (self-publishing platform Kotobna), Morocco (Wi-Fi service NEXTWI) and Gambia (meal-sharing platform eat.gm) are all represented by one startup, while the United Kingdom (three startups) and the United States (two startups) are also represented.